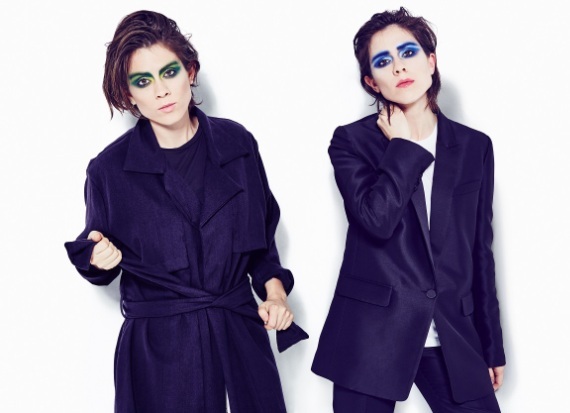 Tegan and Sara have released the first visual from their forthcoming album Love You to Death (available June 3 on Warner Bros. Records), premiering the video for their critically-acclaimed single 'Boyfriend' via Pitchfork. The video is directed by Clea DuVall, a longtime collaborator and friend of the band, with whom Sara worked closely on her first-ever film score for Clea's directorial debut, The Intervention. The "Boyfriend" video features Tegan and Sara alongside fashion designer Rachel Antonoff and actress Sarah Ramos (Parenthood). Released on April 8, "Boyfriend" is the debut single from Love You to Death and has received rave reviews from both fans and the press. Billboard declared the single "a stadium-shaking hand-clapper," and "Boyfriend" has been named a best new track by Pitchfork, Pop Justice, NME and FADER.